Tricare is the global name given to the insurance coverage for military members and their family seeking care outside of a military treatment facility, or MTF. Some military installations offer infertility treatments at centers with residency training programs. These programs can offer IVF and fertility treatments at reduced costs for eligible patients. The military hospitals offering infertility treatments do not fall under the Tricare guidelines. There are a handful of military programs across the United States offering IVF and artificial insemination (IUI) to military members and their dependents. The waiting times can be prohibitively long for most people, unless you live near the base offering the treatments. Clinics can offer military discounts or contract with Tricare to offer limited services, or both. Tricare, or TriWest in the Western Region, clearly defines what services are covered and what services are not covered. At California IVF Fertility Center, our billing and insurance team are very familiar with Tricare benefits and what services will be covered. Tricare will pay for diagnostic testing to establish the cause of infertility. This usually covers the initial evaluation and diagnostic procedures. Once patients have a referral, the testing phase can proceed without any additional requirements on the patient’s part. Our staff helps you to understand this process and maximize your covered benefits. Through years of experience working with Tricare and TriWest, we are able to accurately counsel you from the start of your consultation about your coverage. We combine or close relations with Tricare with our military discount to offer a reduced military cost for IVF treatments. Your initial consultation will be covered by Tricare / TriWest and we will be happy to review your benefits with you in detail. Several centers have announced lately that Tricare covers IVF and infertility treatments. If you read carefully, you will see they are referring only to diagnostic services. Tricare does not cover any treatments that involve IVF, IUI, or any “non-coital” means of reproduction. This does not mean there are not legal ways to reduce your costs for these services. When active duty military members or their spouses work with our clinic, we can help you navigate the benefits to help offset the costs of treatment. Our experience with Tricare infertility coverage allows us to avoid patients getting that surprise bill in the mail several months later for benefits that aren’t covered. We are able to advise you up front in most all cases if you will have any out of pocket expenses. California IVF Fertility Center is able to offer a drastic reduction in the cost of IVF treatments when patients have Tricare coverage. Dr. Zeringue served in the United States Air Force and grew up in a military family during his father’s 26 years in the United States Marines. We understand the financial difficulties often faced by active duty families. Our experience working with Tricare extends back many years. In addition to helping you with your Tricare benefits, we offer discounts on many of our services as our way of saying “thank you”. You must be eligible for benefits through Tricare to use the military discount. Dr. Zeringue completed their residence training at Keesler Air Force Base. After fellowship training at Duke University in 2001, Dr. Zeringue took over the infertility division director position at Travis Air Force base from 2001 through 2005. Ask your doctor to submit a referral naming California IVF Fertility Center, California IVF, or Dr. Zeringue. If you qualify, you will be able to have an initial consultation without cost to you. We are able to manage any additional referral authorizations without any additial work on your part in most cases. 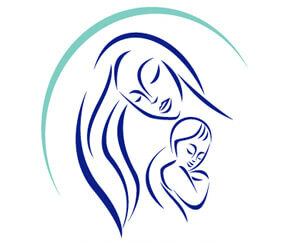 California IVF has a collaborative arrangement with UC Davis to provide fertility services. Patients referred to UC Davis for fertility treatments will be see by California IVF but the referral process may be delayed while the referral is rerouted.